Lawn Watering – The Odd-Even Lawn Watering System is in effect year-round and observed during times of excessive heat and limited rainfall. Residents or businesses with odd-numbered addresses water their lawns on odd-numbered days of the month, and those with even-numbered addresses are permitted to water on even-numbered days. Shrubs and trees may be watered any day of the month. For more information, call the Westerville Water Division at 614-901-6770. Leaf Collection – Leaves are collected at the curb every October-December. Schedules are mailed to the public and posted to the City website. Click here for leaf collection guidelines or call the Westerville Public Service Department at 614-901-6740. Lot Cleaning – Westerville City Code requires property owners to keep yards and vacant lots free of trash, debris, overgrown grass and weeds. For more information, call the Westerville Code Enforcement Division at 614-901-6650. Mayor’s Court – Westerville Mayor’s Court provides a local judicial forum to rule on misdemeanor traffic and criminal cases. It also provides a Violations Bureau that collects payments for violations that do not require a court appearance. Contact Westerville Mayor’s Court at 614-901-6419. Meter Reading – Utility meters for electric and water service have been installed at Westerville residences and businesses to measure usage for each billing period. There are currently two systems for meter reading. Most meters currently being used throughout Westerville are not yet automated, and much like the odometer on an automobile, simply tally the amount of electricity or water being used. They must be manually read every month by a meter reader for the purpose of determining monthly consumption charges. In 2015 the City began upgrading to an Advanced Metering Initiative (AMI). Advanced meters allow for the measurement of electricity and water usage on a daily, hourly or on-demand basis. AMI also provides automated meter reading, automated outage reporting (although residents are still encouraged to call) and utility usage information for consumer use. Meter measurement data is remotely transmitted to the utility company in near real-time enabling the customer to see this information. If a remote reading cannot be obtained, access to the inside meter will be requested or a self-read card will be left at your door for you to record your meter reading and call it into our office at 614-901-6430 within 24 hours. City of Westerville meter readers carry photo identification at all times. If you have a question or concern regarding a request for access your home for the purpose of reading a utility meter, please ask to see identification or call 614-901-6430 for verification. Mosquito Control – The City of Westerville participates in a joint contract with Franklin County Public Health for mosquito control services. Mosquito fogging is conducted in the evening hours and occurs in areas that have been tested and found to have mosquito issues. The fogging substances used are environmentally friendly and not harmful to humans or household pets. For additional information, click here or contact the Westerville Public Service Department at 614-901-6740. Motor Vehicles–Auto Titles – The State of Ohio BMV issues motor vehicle ownership titles. Residents may obtain copies of titles at the County Clerk of Courts Title Office at 980 Morse Road (614-525-3090). Motor Vehicles–Licenses & Registration – Driver licenses and registrations may be obtained at the local State of Ohio BMV office in Cherri-Park Square Shopping Center (614-895-0258) and 2079 US Highway 23 N, Delaware (740-369-3552). City codes require vehicles to be operable and maintain a current license and registration. Natural Gas Service – Call Columbia Gas of Ohio (1-800-344-4077) for service. To report a suspected leak, dial 9-1-1 immediately. Neighborhood Watch – Active neighborhood watches allow residents to become extra sets of eyes and ears for the Westerville Division of Police, which assists residents interested in forming a group. For more information, call 614-901-6472. Noise Ordinance – For a copy of the Westerville noise ordinance, call 614-901-6410. To lodge a noise complaint, call 614-882-7444 or 614-901-6450. Parking Tickets – See traffic tickets. Parks and Recreation – Contact the Westerville Community Center at 614-901-6500. Parks and Recreation Volunteer Program (V.I.S.I.O.N.) – For more information about volunteering with the Westerville Parks and Recreation Department, call 614-901-6565. Permits & Inspections – Processing times vary depending upon the type of permit request. Alarm/Security Permits – See Security Systems. Block Party Permits – Permit forms for block parties may be obtained online or from the Clerk of Council’s Office, 21 S. State Street. These permits require a $25 application fee that is refunded provided there are no damages to City property during the block party. For more information, call 614-901-6410. Building, Electrical, Mechanical, Plumbing Permits – The construction, addition , alteration, removal or demolition of buildings and installation or alteration of most equipment are regulated by the Ohio Basic Building Code and require permits. Separate permits are required for building, electrical, mechanical and plumbing categories and may be issued to contractors, owners or designated agents. These permits are required for the construction of any new building, alteration of existing building, or installation of signs, fences, swimming pools, patio covers, decks, garages, antennas, satellite dishes, and other building modifications. The City does not require that the homeowner/contractor be licensed through the City before pulling a permit. Permit forms can be accessed online or by calling 614-901-6650. Burning Permits – Open burning is prohibited within City Limits without a burning permit. For more information, call 614-901-6600.
Business Permits – When establishing a new business or moving an existing business to a new location, the Westerville Planning and Development Department can assist in obtaining a change of occupancy permit and zoning certificate. For more information, call 614-901-6650. Garage Sale (no permit necessary) – No permit is required to hold a garage sale, but garage sales are limited to one occasion every six months and can last no longer than three consecutive days. Signs may not be placed in rights-of-way or on poles. Call 614-901-6650. Fences – A permit is required prior to the construction, replacement, relocation or alteration of a fence. There is no permit fee required for fences. For more information, click here or call 614-901-6650. Home Occupation Permits – Establishing home occupation in Westerville may require a conditional use permit. Call 614-901-6650. Parade Permits – Parade permit forms are available online, at the Clerk of Council’s Office, 21 S. State Street, or by calling 614-901-6410. Sign Permits – Westerville’s zoning ordinance governs the location, size and number of advertising signs. Permits are required and signs may not be placed in City rights-of-way or on poles. Click here or call Westerville Planning and Development at 614-901-6650. Solicitation Permits – The City of Westerville regulates door-to-door solicitations, street vendors and peddlers, and solicitation in roadways, including roadway solicitation by charitable organizations. To obtain a permit, click here or call614-901-6410. Street Opening/Right-of-Way Access Permits – For more information, contact Westerville Planning and Development at614-901-6650. Work Permits – These permits are required for any person under the age of 18 working within the City Limits. Permit applications can be obtained at any Westerville high school office. Zoning Inspections – A certificate of zoning clearance verifying the legality of a proposed residential or non-residential use must be issued before a new building can be occupied or before a business can locate or expand in an existing building. For more information, click here or call call 614-901-6650. Poisoning – Call 9-1-1 immediately if someone ingested a potentially harmful material and is experiencing any physical signs or effects. If no symptoms are present, but poisonous material has been spilled on skin, immediately call the Poison Control Center at 614-228-1323. Be prepared to identify the toxic substance and the recommended first aid treatment. Police Records – Call 614-901-6450 for information regarding Westerville police records. There is a nominal charge for copies. Police Reports – Call 614-882-7444 to file a Westerville police report. Pools – See Swimming Pools (Municipal). Potholes – To report a pothole, call 614-901-6740. Power Outage – See Electric Service or call 614-901-6700. Property Taxes – See Tax (Property). Public Health – Contact Franklin County Public Health at 614-525-3160 or the Delaware General Health District at 740-368-1700, depending on the county with jurisdiction. 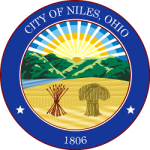 Public Hearings – Public hearings are held by Westerville City Council, Planning Commission and the Board of Zoning Appeals. Hearing notices are published in local newspapers. Public Transportation – See Bus Service.